Avants members receive an exclusive discount with all of our partners, typically 10-20% off. Avants has partnered with the best automotive service providers. These companies specialize in delivering the highest-quality products and services. They aren't the cheapest in town; they're the best. APC Auto Spa is Puget Sound's premier detailing studio specializing in high-end paint correction, Ceramic Pro coatings and STEK paint protection film. Located in Woodinville. Avants members receive 15% off at APC Auto Spa. Car Care for the Perfectionist. Since 1990, Griot's Garage has been providing the best polishes, waxes, cleaners, detailing supplies, and accessories for enthusiasts. Corporate headquarters and flagship retail store located in Tacoma. Avants members receive 10% off at the Griot's Garage Flagship Store in Tacoma. Specializing in mobile detailing, Bead City Detailing provides a full range of premium detailing services including car washing, interior detailing, paint correction and nano protective coatings. Avants members receive 15% off at Bead City Detailing. Blue Star Auto Salon uses hand washing and waxing to restore customer automobile interiors and exteriors to like new beauty and value. Detail packages are available for every customer’s needs and budget. Certified Ceramic Pro detailer. Located in Shoreline. Avants members receive 15% off at Blue Star Auto Salon. Polished Image Detailing is the premier high-end detailer serving the Tacoma area. With a full a range range of services including paint correction, clear bra, ceramic coatings, window tint and more. Located in Fife. Perfect Shine Auto Salon’s mission is to perfect the craft of premium auto detailing while pleasing customers with affordable prices and superior service! Located in Puyallup. Avants members receive 15% off at Perfect Shine Auto Salon. Midnight Window Tint offers a full range of window tinting services, paint protection film as well as full and partial vehicle wraps. Founded in 2001, Midnight Window Tint has four convenient locations in Bellevue, Shoreline and Everett and Tukwila. Avants members receive 15% off at Midnight Window Tint. Vogue Autowerks utilizes a concierge-like service to ensure customer satisfaction from beginning to end. They specialize in vinyl wrapping & tinting, wheels & tires, suspension, exhaust systems, custom audio and radar/laser detectors. Located in Kirkland. Avants members receive 15% off at Vogue Autowerks. Audi Seattle provides exceptional service in a timely manner. From oil changes to transmission replacements, they are dedicated to maintaining top tier customer service. Located in Seattle. Avants members receive 10% off parts and labor at Audi Seattle. Mercedes-Benz of Lynnwood has been family owned and operated since opening in October 2005. From tire rotations, brake pads or transmission problems, Mercedes-Benz of Lynnwood has trained technicians who are able to help. Located in Lynnwood. BMW Seattle offers a comprehensive selection of Ultimate Driving Machines, along with professional service and maintenance performed by BMW-trained technicians. Located in Seattle. Celebrating 50 years in the Pacific Northwest, BMW Northwest is the only family-owned and operated BMW Center in Washington State. They strive to provide exemplary customer service to all of their clients as well as make a positive impact in the community. Located in Tacoma. Come see what a purpose built MINI Store looks like. Seattle MINI's commitment to customer service is second to none. Located in Seattle. Northwest MINI has a strong and committed sales staff with many years of experience satisfying customers' needs. Located in Tacoma. Ranked consistently as the #1 top selling Volkswagen dealership in the state, Auburn Volkwagen is committed to customer satisfaction and community. Located in Auburn. Unmatched service and massive inventory sets Doug’s NW Cadillac apart as the preferred dealer in the greater Seattle area. Located in Shoreline. Avants members receive 10% off parts & labor at Doug’s NW Cadillac. Tru-line has been providing automotive repair for vehicles of all makes and models in the NW for more than 40 years. They specialize in the repair and maintenance of suspension, steering and brakes. Located in Seattle and Bellevue. Avants members receive 15% off labor at Tru-Line. Group 2 Motorsports has been providing top quality auto repair since 2002. Whether you are maintaining your daily driver, building a race or rally car, or restoring the vehicle of your dreams, Group 2 Motorsports can serve you. Located in Ballard. Avants members receive 15% off labor at Group 2 Motorsports. Achtuning specializes in performance parts and service for VW and Audi, focusing on high-quality manufacturers like APR, AWE Tuning, H&R, Hartmann Wheels, KW, StopTech, and more! Located in Redmond. Strictly BMW Independent Service is the Pacific Northwest's authority on BMW service, repair, maintenance and performance tuning. Family owned and operated since 1982. Located in Bellevue. 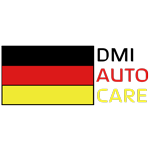 Autobahn Autowerkz provides honest, quality service and repair for your German cars. Specializing in Audi & Volkswagen vehicles. Located in SeaTac. Avants members receive 10% off labor at Autobahn Autowerkz. Specializing in Mercedes, BMW (including MINI Cooper) and Audi repair and service, German Car Specialists provides dealer quality work at affordable prices with an 18 month unlimited guarantee. Serving the Eastside area for more than 36 years. Located in Factoria. Avants members receive 15% off labor at German Car Specialists. Kevin Doyle (a.k.a "KD") and team at KD Automotive have been providing top-notch service since 2008. From routine maintenance on your daily driver to custom tuning on your race car, they can do it all. Located in Redmond. Avants members receive 15% off labor at KD Automotive. Broad Stroke Associates specializes in keeping your BMW and MINI running like new. They make sure all of the work is done right the first time, backed by a 3-year, 36,000-mile warranty. Located in Snohomish. Avants members receive 15% off labor at Broad Stroke Associates. Proudly servicing German vehicles for the Seattle Metro Area. With over 15 years of experience working strictly with German vehicles, DMI Auto Care provides top-notch repair and service for BMW, Audi, VW and Mercedes. . Located in Ballard. Avants members receive 15% off parts & labor at DMI Auto Care. 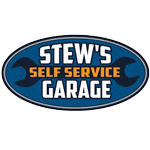 Stew's Self Service Garage is the northwest's premier do-it-yourself auto repair garage. They have everything you need to work on your car, from lifts, to ratchets, to expert advice, to parts ordering. Be your own mechanic! Located in Kirkland. Avants members receive 15% off at Stew's Garage. All Wheel Drive Auto is the premier Independent Seattle Subaru Service & Repair shop in the Puget Sound area. From Outbacks to STIs, they can handle everything! Located in Kirkland. Avants members receive 15% off at AWD Auto. Drive Auto Sports specializes in performance modifications and tuning for a wide variety of platforms including Subaru, BMW, Chevy, Mopar and more. With an AWD dyno and a highly-skilled team, they can take your project from mild to wild. Located in Woodinville. Avants members receive 10% off Labor and Dyno Tuning at Drive Auto Sports. Clark's Wheel Alignment offers alignment services as well as fender-rolling services for specialty cars. Family owned and operated for over 29 years. Located in Kirkland/Totem Lake. Avants members receive 15% off at Clark's Wheel Alignment. MAXRPM Motorsports is a full-service service shop specializing in European maintenance and performance. Everything from oil changes and brakes pads to dyno tuning and engine swaps. Located in Bremerton (close to the ferry). Avants members receive 10% off labor at MAXRPM Motorsports. Landmark Motors services all makes and models, but they specialize in European makes including Mercedes, BMW, Audi, Porsche and VW. From basic maintenance to performance modifications, Landmark Motors has you covered. Avants members receive 15% off parts and 20% off labor at Landmark Motors. Authentic Motorcars specializes in sales, service, detailing, and concierge level storage of collector vehicles both classic and modern. Outdoor storage of vehicles, trailers, boats, and RVs is also available. The service department and detailing specialist onsite both take a personalized approach in helping you manage your vehicle’s needs. Shannon Low cofounded the company in 2017 and has over 22 years in the special and exotic car industry. Located in Redmond. Avants members receive 15% off labor at Authentic Motorcars. Drift Office is the Northwest’s premier tuning shop and dyno facility specializing in Japanese vehicles including Subaru BRZs, Mitsubishi Evos, Nissan Skyline GT-Rs, Toyota Supras and more. Located in Auburn. Avants members receive 15% off labor at Drift Office. AW Automotive specializes in repair, maintenance and performance upgrades of Japanese vehicles. Located in Auburn (next to Drift Office). Bristow’s Auto Repair is Tacoma’s premier repair shop for European performance cars. You’ll receive personalized service and quality auto repair. Located in Tacoma. Avants members receive 10% off parts & labor at Bristow’s Auto Repair. FCP Euro is the best source for OEM European replacement parts (BMW, Audi, Porsche, Mercedes, VW). They have an amazing Lifetime replacement guarantee on everything that they sell, including wear-and-tear items like brake pads, gaskets, brake rotors, filters, and wiper blades! Free shipping and hassle-free returns. Avants members receive 10% off at FCP Euro. ipd offers the worlds largest selection of Volvo performance parts and accessories including safety, convenience, maintenance and just about anything else you could want for your 1962 to 2016 Volvo. With over 50 years of record-breaking success in this area, they know Volvos from the chassis up, and can provide product and related technical assistance for Volvos. Avants members receive 10% off at ipd. Vision X Lighting is a world wide manufacturer of LED, HID, and Halogen lighting systems. Products range from long-range high intensity spotlights to flood lights. MULE Expedition Outfitters is the Pacific Northwest's first and foremost overland vehicle retailer and installer. Featuring the best brands including ARB, AEV, Vision X, RAM Mounts and many more! Located in Issaquah. Avants members receive 10% off in-stock parts at MULE. Launched in 2008, HID Kit Pros has grown to become the largest automotive lighting supplier in the Northwest, stocking not only the highest quality HID Kits but also LED’s, from off road light bars to LED turn signals and more! HID Kit Pros also offer audio/video services as well remote start and radar/laser installation. Located in Issaquah. Northwest Specialty Dismantling (Norspec) is a great source for used parts for your Porsche, BMW, Audi, Maserati, etc. They specialize in dismantling of high-end and exotic automobiles. Located in Kent. Avants members receive 15% off at Northwest Specialty Dismantling. With tons of in-stock performance tires and fantastic customer service, Discount Tire is the preferred tire shop for car enthusiasts in the Puget Sound area. Avants members receive wholesale tire pricing and 50% off mounting/balancing (on tires purchased at Discount Tire). This typically results in a 10-15% savings, depending on the tire brand/size. Valid at the Bellevue, Redmond, Kirkland, Bothell, Renton, Tacoma stores only. Skip the waiting room. Right Away Tire will install your tires at your home or office. Buy direct from Right Away Tire or from your favorite tire retailer. Services include flat repair, mounting/balancing, and more. Servicing the greater Seattle area. Mike and Corey at Sound Wheel Works have over 30 years of combined experience repairing wheels. They pride themselves on providing high quality wheel repair service and going the extra mile to make your experience with them a positive and memorable one. Located in Bellevue. A family owned business for over 10 years, Alloy Wheel Repair Specialists is a leading provider of wheel repair for wholesale and retail businesses. They offer wheel refinishing, straitening, painting, powder-coating and more! Located in Kirkland. DentSolutions NW is the leading Paintless Dent Removal business trusted by luxury dealers including Ferrari of Seattle, Lamborghini & Bentley of Bellevue and more. Serving Seattle and the Eastside for 20+ years. Exceeding customers expectations in the fine art of Paintless Dent Removal. Located in Bellevue. Avants members receive 15% off at DentSolutions NW. With almost 20 years experience Metal Magic has used paintless dent repair to make your vehicle metal look new! In addition to paintless dent repair, Metal Magic also provides window tinting, wheel repair and auto detailing services. Located in Tacoma. Avants members receive 15% off at Metal Magic. Bel-Kirk Body Shop is a third-generation, family-owned business with over 37 years of experience in the auto body industry. They can fix all of your paint and bodywork issues, both large and small. Located in Kirkland. CARS is the place to go for all of your minor bodywork and paint needs. They specialize in bumper repair, rock chip repair, wheels repair/paint as well as brake caliper paint. Located in Bellevue. Avants members receive 15% off at CARS. GodSpeed Fabrication specializes in roll cages, body panel replacement, air ride suspension, shaved door handles & marker lights, engine conversions, right hand drive conversions, chop tops, sheet metal fabrication, motorcycle customizing, and concept designs. Located in Kent. Performance Coatings has been the Northwest's premier ceramic coatings specialists for over 22 years. They offer ceramic coatings, exhaust coatings, and internal coatings. Located in Auburn. Avants members receive 10% off at Performance Coatings. Northwest Crafted Interiors is a full service upholstery restoration and fabrication shop. No job is too big or too small. They specialize in carpets, headliners, door panels, seats, convertible tops, dashboards, and more. Located in Everett. Avants members receive 15% off at Northwest Crafted Interiors. Hooked On Driving is a leading provider of performance driving programs, commonly known as an high performance driving experience (HPDE). Hooked On Driving has events at a variety of tracks in the Pacific Northwest including The Ridge, Portland International Raceway (PIR) and Oregon Raceway Park (ORP). Avants members receive 10% off at PNW Hooked on Driving events. Turn2 Lapping serves the experienced driver at track events located in the Pacific Northwest. With weekend events as well as ‘Late Apex’ sessions during the week, Turn2 has something for everyone. At each event, you’ll get at least 3 hours of seat time. Avants members receive 10% off at Turn2 events. Celebrate America’s love affair with the automobile and learn how it shaped our society. More than just a museum. Rotating exhibits, racing simulator, special events and more! Located in Tacoma. Avants members receive 20% off all Driver’s Club level memberships at Lemay -- America's Car Museum (Individual, dual and family). Enter 'AVANTS2018' at checkout. From carbon fiber wallets to custom carbon fiber car parts, Common Fibers has you covered! Everything from custom interior pieces to hoods and spoilers. Manufacturing facility located in Kent. Group 6ix designs original art work for the automotive enthusiast. Products include vintage posters, t-shirts and more. Whether your open road is a solitary stroll in the back country, a cruise to a cars & coffee event, a blast through downtown, autocrossing, or your next vintage racing event, Group 6ix wants to be there! Avants members receive 20% off at Group6ix. Daniel Piker from Piker Photo is one of the best automotive photographers in the area. He is currently the weekend photographer at DirtFish Rally School. His photos have been featured in numerous automotive publications including Jalopnik. 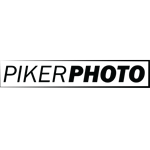 Avants members receive 20% off at Piker Photo. Starting as the media producer and now an instructor at Dirtfish Rally School, Eric Schofhauser has covered numerous motorsports events, including the Olympus Rally and Formula Drift. His work has been featured in publications like Jalopnik, Freehub, and other commercial clients. He specializes in car features, event coverage, and video production. 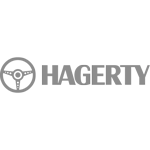 Avants members receive 25% off at Schofhauser Media. Cats Exotics is a family owned and operated car dealership specializing in exotic and collector cars. They offer a full range of services including trade-in, consignment and brokering. Located in Lynnwood. Zadart is Seattle’s only exotic and luxury car rental company dedicated to the car enthusiasts of Puget Sound. From luxury cars to supercars, Zadart has you covered. Located in Bellevue. Avants members receive 15% off at Zadart. Avants members receive 15% off the importing fee at Speed Works NW. MOTOSHIPPERS provides nationwide professional shipping of cars, motorcycles, boats, campers and any other items with wheels or an engine. Specializing in 'white glove' service using enclosed trailers. Shipping available nationwide. Based in the Seattle area. Avants members receive 15% off at MOTOSHIPPERS. * Not available in CA, MD, or TN. Discounts cannot be stacked. Participating in a track day? Lockton Motorsports provides on-track insurance that covers what standard auto insurance won't - damage to your car when you're participating in a HPDE (High Performance Driver Education event), Track Day, or Time Trial event from the time you enter the grounds of a racecourse to the time you leave. Avants members receive discounted rates at Lockton Motorsports. If you are facing a speeding ticket or other traffic-related issue, Jag Matto at Matto Law Firm can help. Not only is Jag a fantastic lawyer, he's a big car enthusiast as well! Located in Seattle. 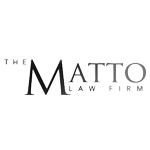 Avants members receive 15% off at Matto Law Firm.